With nearly half of Americans reporting they don’t get enough sleep, it’s no surprise that 83% of adults consume caffeinated products daily, most of which are coffee. However, some drinkers notice undesirable side-effects with their favorite morning drink. Orethapedia: Does coffee actually have an effect on your mood? Dr. Ehsan Ali: Yes, coffee is a stimulant, which typically elevates your mood, making you feel good. However, with some patients, overstimulation of the nervous system can cause a boost in adrenaline, leading to anxiety. Orethapedia: does coffee make some people’s stomach hurt? Dr. Ehsan Ali: For the same reason it boosts adrenaline, coffee’s stimulant effect causes the stomach to contract and squeeze. In large amounts, this can cause stomach pain. 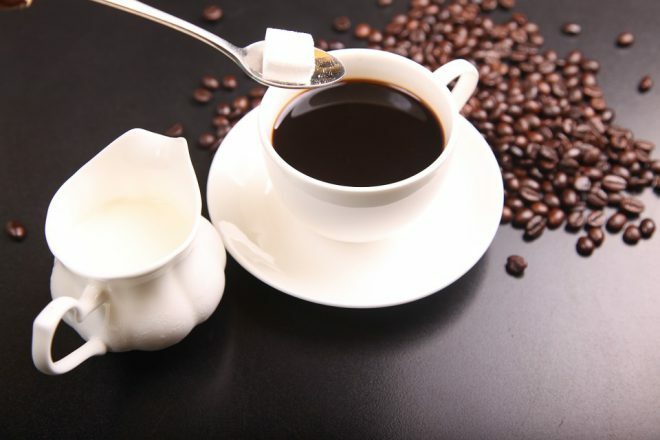 Also, coffee increases the acidity in stomach, which can be painful for those with acid reflux. Orethapedia: If you’re like us, you can’t get by without that cup! Is there a way to drink coffee that’s easier on the stomach? Dr. Ehsan Ali: Absolutely! Drinking it very slowly – and with small sips – can make it easier on your stomach. Taking an antacid prior may also help. Orethapedia: Is there any other beverage that could wake you up that wouldn’t hurt your stomach as much? Dr. Ehsan Ali: Tea, especially green tea, is much milder and less likely to cause stomach issues. Matcha lovers, rejoice! Orethapedia: Does a regular coffee habit affect your sleep habits over time? Dr. Ehsan Ali: Regular caffeine users can develop tolerance over time, so though it might not immediately affect your sleep, you will find yourself needing more and more cups! However, caffeine can cause insomnia in some patients. Dr. Ali is known as a house-call specialist to the stars, including Justin Bieber, Liam Hemsworth and Rita Ora, Beverly Hills Concierge Doctor Ehsan Ali, MD.